I find myself running into the arms of spring with more excitement this year than ever before. After months of unstable cold temps and icy freezes that seemed to last for weeks, I couldn't be happier to step outside and be greeted by all the bursting blooms. 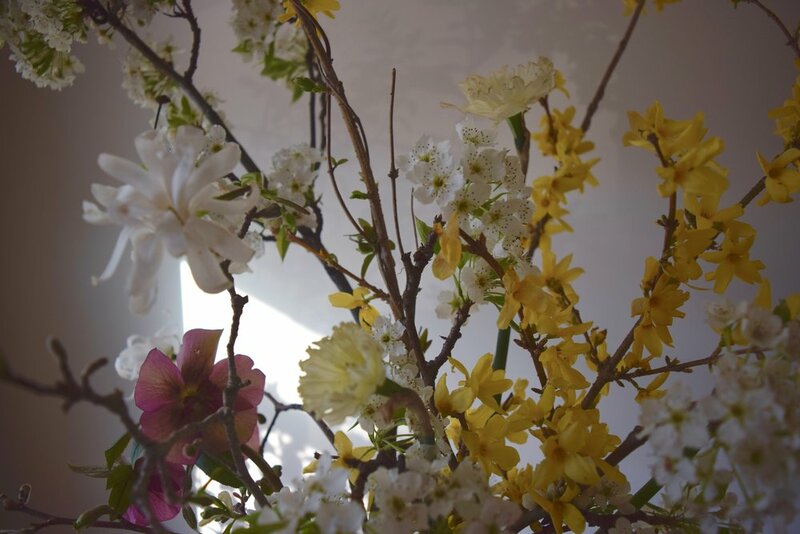 The spring is a wonderful time of year for floral designers in Pennsylvania. 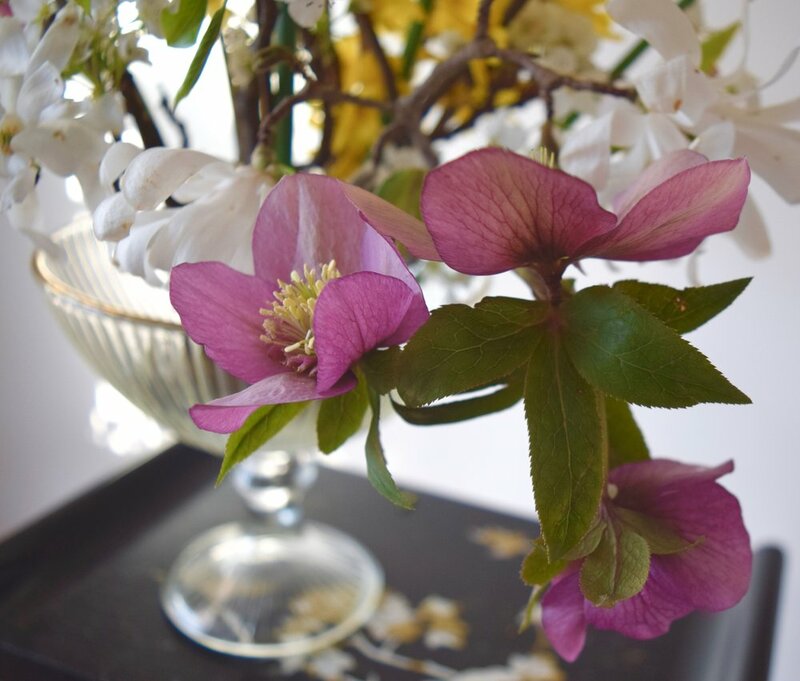 We can get back to foraging regional blooms and supporting our local flower farmers! I am immensely grateful to both resources. 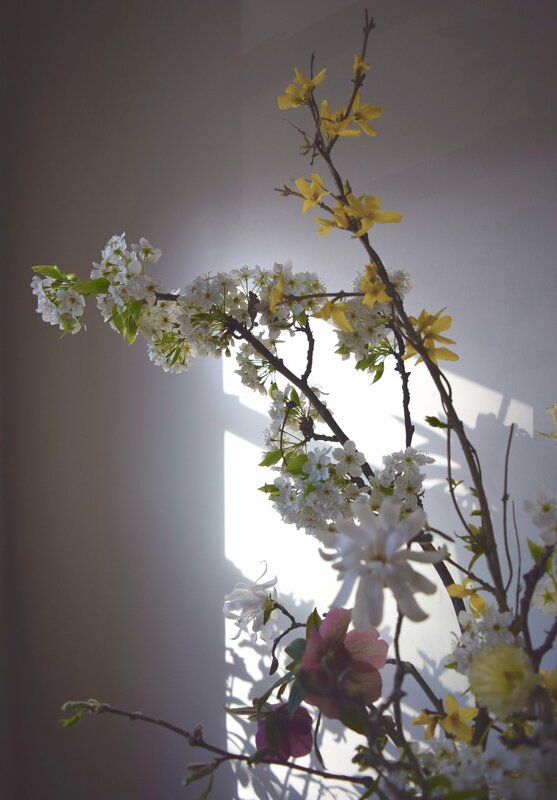 Forsythia, Plumb Tree Branches, Hellebore and Cream Daffodils.